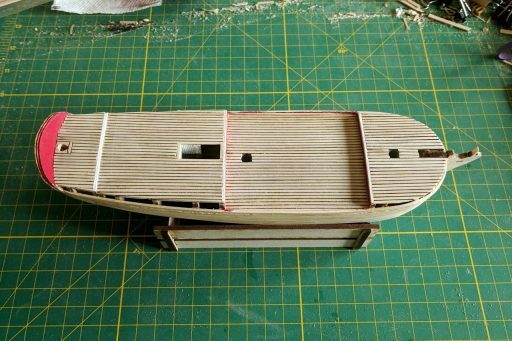 Then the plastic strip is put into place between the two deck planks. I start at one end, then run my finger down the length of the strip. 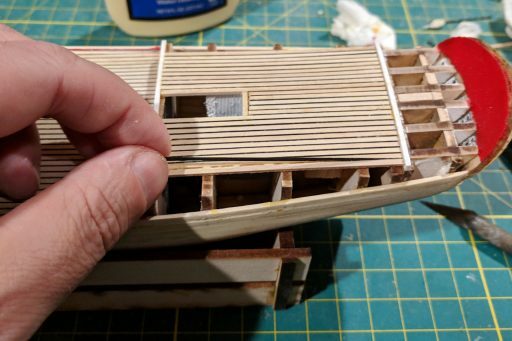 After that, the deck plank is firmly pushed into place and excess glue is removed. And at last the deck planking is complete. One par﻿ticular challenge was the hole for the rudder. 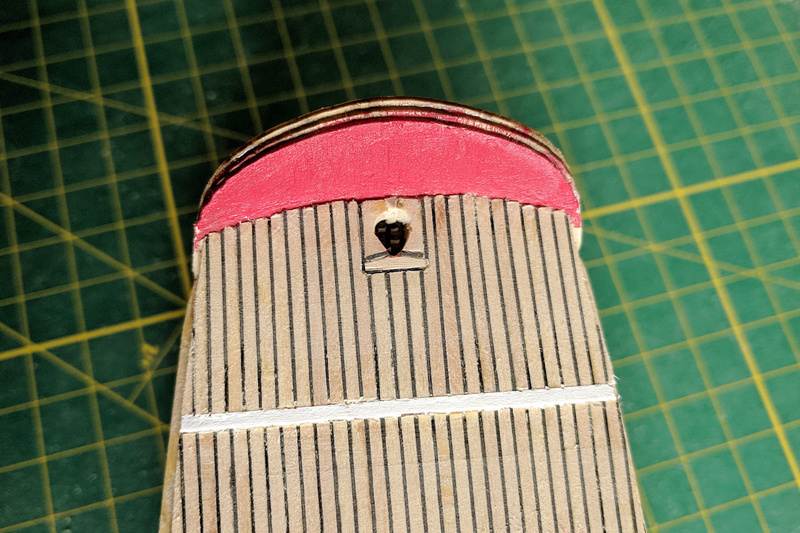 This picture on the site ship25bsa.smallsquareddesigns.com was especially helpful in creating the detail of the hole﻿. 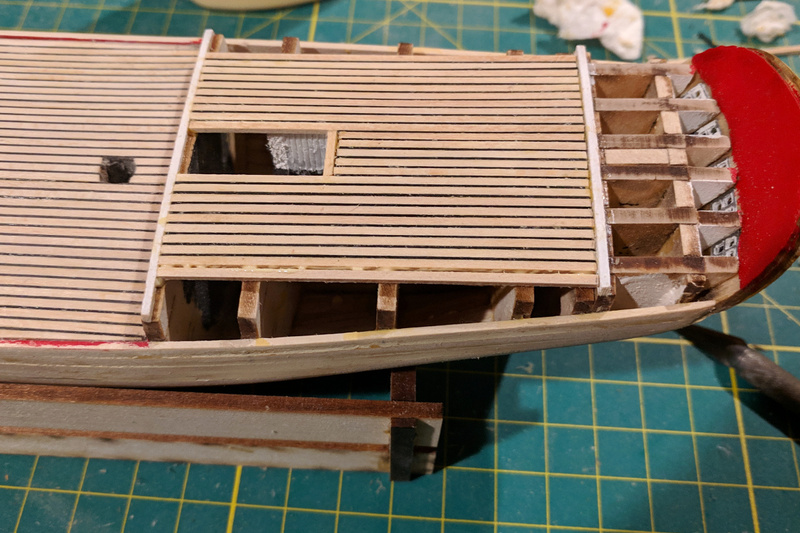 Next I need to decide how to handle coloring the deck and adding trenails.